PHOTO: Allen Ramsey, DWCPhoto.com. 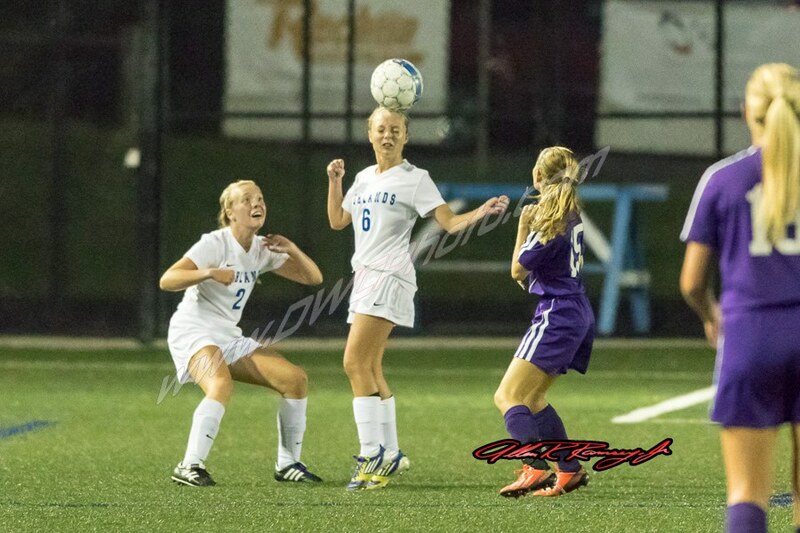 Highlands sophomore defender Hannah Gish (6) plays the ball while senior defender Annalee Brewer (2) gets in position in a recent game against Campbell County. 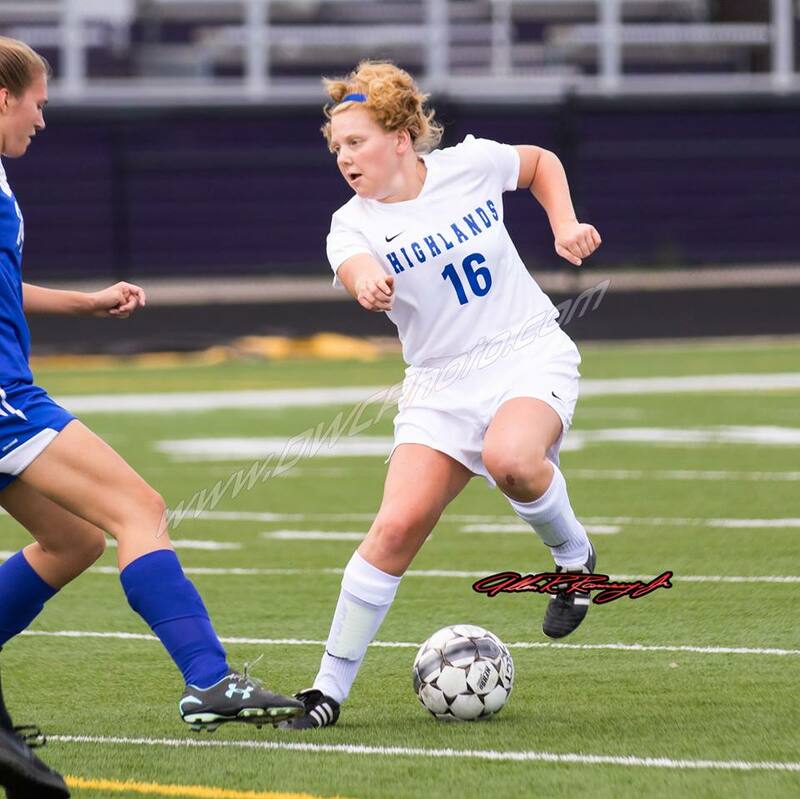 The Highlands Ladybirds soccer team made short work of the neighboring Bellevue Lady Tigers with a 14-0 36th District victory Wednesday at Tower Park. Highlands maintained its best start since 2005 at 6-0 overall with the victory. The Ladybirds moved to 3-0 in 9th Region action in the district opener and have outscored opponents by a combined 30-0. PHOTO: Allen Ramsey, DWCPhoto.com. Highlands senior defender Tommy Steppe boots the ball ahead in a recent game. 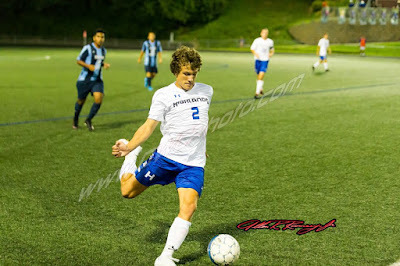 The Highlands Bluebirds ventured to Alexandria on Tuesday and picked up a 2-0 victory over the Campbell County Camels. PHOTO: Allen Ramsey, DWCPhoto.com. Highlands senior Sydney Ossege makes her move against Campbell County on Monday. 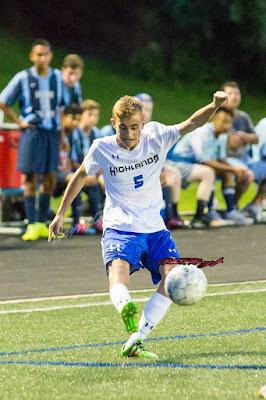 Ossege scored two goals as Highlands moved to 5-0 on the season with the 6-0 victory. The depth again showed its value for the Highlands Ladybirds soccer team. Highlands rotated 22 players in and out and it helped beat the Campbell County Lady Camels, 6-0 Monday at Tower Park. Highlands stayed undefeated at 5-0 and has outscored the opposition, 16-0 as junior goalkeeper Olivia McQueary recorded her fifth shutout of the season. Defenders Karolyn Lukjan, Parker Price, Hannah Hartman and Hannah Gish pitched in on that effort. PHOTO: Allen Ramsey, DWCPhoto.com. Highlands sophomore Cooper Schwalbach (left) lines up in Saturday's junior varsity game against Campbell County. Highlands won 14-0 to move to 2-0 on the season. 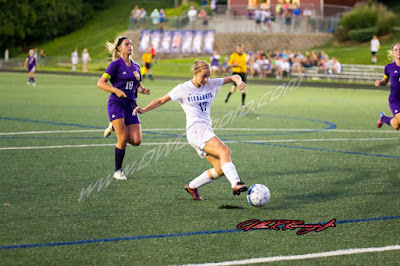 The Highlands Ladybirds soccer team recorded yet another shutout on the season with a 4-0 victory at Dixie Heights on Saturday. 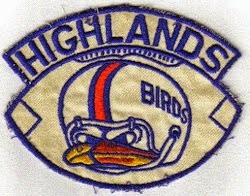 Highlands moved to 4-0 and has outscored opponents by a combined 10-0 on the season. Highlands outshot Dixie Heights (1-3-2), 16-1. Ladybird junior goalkeeper Olivia McQueary received credit for her fourth shutout on the season. PHOTO: Allen Ramsey, DWCPhoto.com. 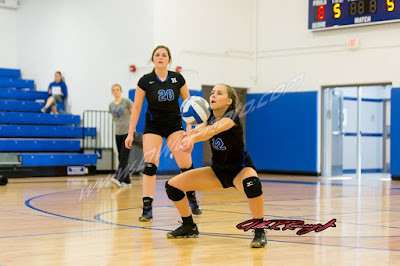 Highlands senior outside hitter Hannah Harris (right) bumps the ball while senior defensive specialist Emma Delagrange (20) watches. The Highlands Ladybirds soccer team moved to 3-0 on the season with a 3-0 blanking of the St. Henry Lady Crusaders (0-2-1) at Tower Park. PHOTO: Allen Ramsey, DWCPhoto.com. Highlands junior midfielder Joe Broering (5) boots the ball ahead in Tuesday's game against Boone County. Highlands won 7-0. The Highlands Bluebird soccer team found itself on the positive end of a 7-0 final just three days after experiencing the opposite. 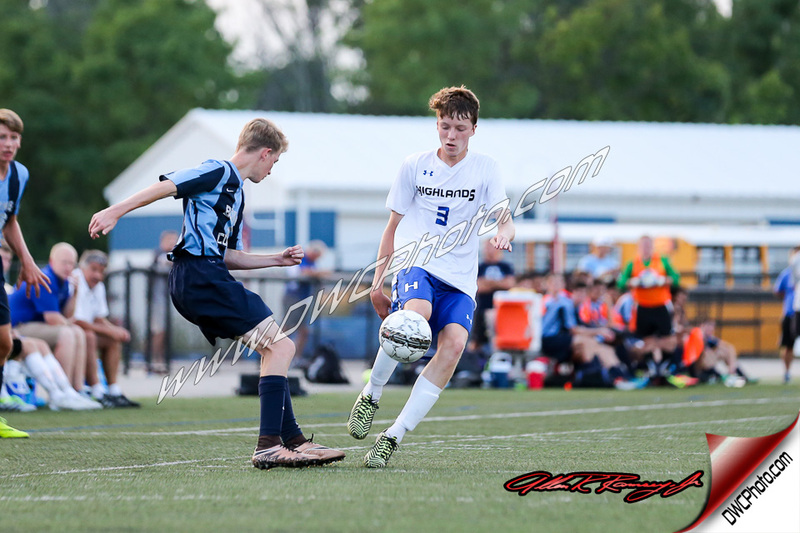 The Bluebirds moved to 2-1-1 overall and 2-0-1 in 9th Region action with a victory by that score over the Boone County Rebels (0-4) at Tower Park after Louisville Trinity won at Tower Park by that score on Saturday. Highlands has beaten Boone County two straight times since the Rebels eliminated the Bluebirds in the 9th Region quarterfinals in 2014. PHOTO: Allen Ramsey, DWCPhoto.com. 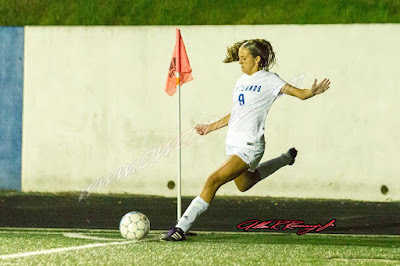 Highlands junior midfielder Molly Wiefering (9) belts in a corner kick in Monday's game against Cincinnati Ursuline. The Highlands Ladybirds soccer team followed up Saturday's huge road win with another one Monday. PHOTO: Allen Ramsey, DWCPhoto.com. Highlands senior Claudia Hils (16) makes a move in a recent scrimmage against Conner. 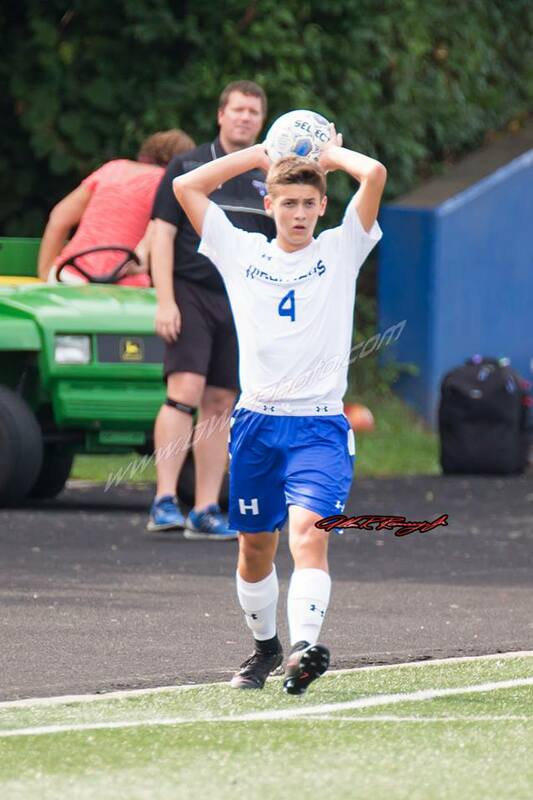 Hils had an assist Saturday as Highlands beat Owensboro Catholic, 2-0 to open the season. The Highlands Ladybirds opened the season with a huge road victory in western Kentucky. The Ladybirds took down the three-time defending 3rd Region champion Owensboro Catholic Lady Aces, 2-0. OCath lost in the state semifinals last year 3-2 to eventual state runner-up Lexington Catholic and finished state runner-up in 2014 losing 4-1 to South Oldham in the title game. PHOTO: Allen Ramsey, DWCPhoto.com. Highlands sophomore Alex Ford throws the ball in during the Thursday game against St. Henry. Highlands won 1-0. They Blue and White made sure there were no slow starts this season. 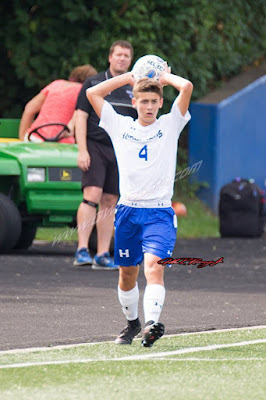 The Highlands Bluebird soccer team (1-0-1 overall) earned a huge 1-0 victory at Tower Park on Thursday over the St. Henry Crusaders. That snapped a four-game losing streak to St. Henry dating back to 2012. The game was moved up to 5 p.m. after being originally scheduled for 8 p.m. at St. Henry. PHOTO: Allen Ramsey, DWCPhoto.com. 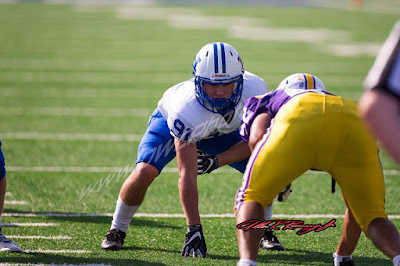 Highlands senior Tommy Browe makes a move in a recent scrimmage. Neither team has its first goals of the season after playing to the scoreless tie Tuesday.